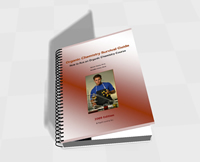 The Chemistry Survival Kit - How to Study and Ace Any Chemistry Course, by Dr. Wayne Huang, is a powerful template-based system in how to ace any chemistry course step-by-step, with insider-tell-all secrets to boost your score in chemistry. 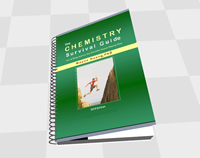 The Organic Chemistry Survival Kit - How to Study and Ace an Organic Chemistry Course, by Dr. Wayne Huang and Dr. Jennifer Green, is an insider's guide to organic chemistry mastery, with the step by step instruction and shortcut to success, ideal for students who are taking ochem. 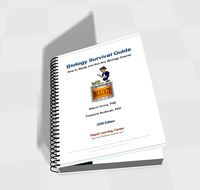 The Biology Survival Kit - How to Study and Ace Any Biology Course, by Dr. Wayne Huang and Dr. Theodore Nusbaum, reveals a powerful yet simple template-based system to study and ace your biology course step-by-step with less time for better grade. Gain the competitive edge with ample of insider's tips and tricks to master biology the easy way. How to memorize biology concepts and facts easily. The Physics Survival Kit - How to Study and Ace Any Physics Course, by Dr. Wayne Huang and Keith Duda, offers a shortcut to physics mastery via the 5-step template system and physics-specific tips and tricks. 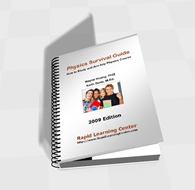 Empower yourself with physics survival skills and ace any physics course with ease. Get your competitive edge with this kit. Special Combo - All Four Survival Kits $147 : For limited time, we are bundling all four survival kits above together and offering buy-3-get-2 discount. Use Product Code: SK080-C for this Combo Package of 4x Survival Kits. Bonus: You will also receive the Rapid Learning Survival Guide Audiobook free. Get them all now from here. Why Dr. Wayne's Survival Kits? Simple answer: it works - this will help sharpen your study skills in this given course and boost your score with the least effort and best performance. Here are the compelling reasons you should get started with this kit and begin your journey to academic success. Survival guides on lecture previewing, note-taking, textbook-reading, homework, exam-prep and exam-taking. Exam strategies for various exam types such as multiple choices, essay, true/false etc. Four-step panic system to cramming, if you have to. Any difference between the Rapid Learning Courses vs Survival Kits ? These two are totally two different learning tools - one is the home-study course and the other one is how-to-study guide. Working together synergetically as the 2-pronged attack for sure-fire academic success. 1: The rapid learning 24-hour series are rich-media courses in movies and drills format, while survival kits are the how-to study guides for any given subjects in ebook format. The two combine together to make a perfect weapon to ace your course.